Over the years, sales of handheld vacuums have drastically increased as more and more people are not only becoming aware of their convenience, but also impressed with the improvement in technology. However, there are still too many people who still don’t know how to buy the best handheld vacuum cleaner due to being uninformed of the various aspects of a handheld vacuum. With the rising amount of different brands and models available, it’s easy to be misled into buying something that doesn’t meet your standards. We’re here to keep you well informed so that you end up getting the best handheld vacuum cleaner for your needs. You can see what we consider to be the best in Our Top 10 Best Handheld Vacuum Cleaners Comparison Chart. What is the main reason why you’re getting a handheld vacuum cleaner? Do you have pets that shed a lot of hair and need something does will do an effective job of cleaning it up? 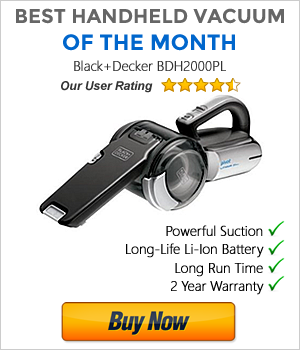 Do you want a vacuum that does a good job of cleaning inside of a vehicle? Or do you need a device that can easily clean stairs, carpet and upholstery? Perhaps it’s all of them. 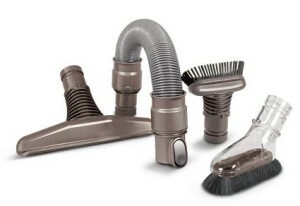 Your reason will ultimately determine which handheld vacuum cleaner will fit your purpose. Though you have to bear in mind that many handheld vacuum cleaners are not designed to replace a full sized vacuum, but rather as an addition to it. Some of the most important factors you must take into consideration are stated below. Every handheld vacuum cleaner will offer something different than the next. Certain models are designed more for cleaning carpets and upholstery while others are more suited to hard floors. 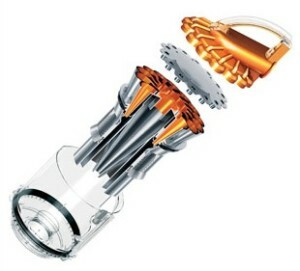 There are some simple yet effective models, and there are models that incorporate sophisticated technology, as seen in many Dyson vacuums. Think about whether the handheld vacuum is designed for your needs and if it’s worth paying the extra price for the additional technology. Most people prefer the convenience of a cordless handheld vacuum cleaner, but are unaware of the benefits a corded one can provide. Although a cordless model is easier to take around, allowing you to clean anywhere without having to worry about kids tripping over a wire, there are certain weak points that may affect your decision. Such factors include limited cleaning time, the suction power is sometimes not as strong as corded models and they’re often more expensive too. On the other hand, a corded handheld vacuum cleaner can be used however long you want, great if you have long cleaning tasks, and they will provide you with consistent suction power to do a good cleaning job, not to mention the fact that they’re usually cheaper. Decide a corded or cordless handheld vacuum cleaner will benefit you the most. You can read more in-depth about this in our articles on Corded VS Cordless Handheld Vacuum Cleaners. If you’ve chosen a cordless handheld vacuum cleaner, then the next step is to make sure that you’re getting one that has a decent battery. A weak battery will seriously hinder the vacuums suction power, charge and run time, as well as lifespan. It’s advisable that you go for cordless vacuums that adopt a Lithium Ion battery, since they’ve been proven to hold a charge for longer, they can hold more energy per volume and they do not lose energy memory during or after a charge. Most handheld vacuum cleaners have attachments included and some models even have them built-in, while other models don’t have anything included at all. If you want to thoroughly clean your home or vehicle, then you will need the right tools that will get into confined areas, corners and edges. Commonly used tools are the crevice tool, brush, upholstery and pet cleaning tool and a stretch hose. The cheapest option is often not the best option. Ideally, you would want a handheld vacuum cleaner that provides you with the best value for your money. Certain products have great features and benefits, but appear to be overpriced. Are you willing to pay more for something you will make use of? You just have to make sure that when you make your purchase, the online or offline seller that you purchase from will honor the warranty period set out by the manufacturers. One way of getting a handheld vacuum cleaner from a reliable source is to purchase directly from the manufacturer’s website. Many of the major brands such as Black & Decker and Dyson have an online presence these days, and they usually provided demo videos and FAQs on their websites. Buying directly from manufacturers give consumers a sense of security that many chain stores and second hand stores cannot. However, manufacturers usually sell their products at the MSRP, meaning that you won’t get the best price. More often than not, online retailers such as Amazon have better prices due to their great offers and discounts. Since the big retailers buy stock in huge bulk quantities, they’re able to provide discounts and good deals, thus passing their savings onto their customers. Amazon is the largest and most well-known online retailer, and one of the largest retailers in the world. They constantly have excellent promotional deals and offer a huge product selection from a large number of third-party retailers, as well as their own store. In our opinion, Amazon.com offers the most competitive prices, has superb customer service and provides the best online shopping experience. Remember that it’s always a good idea to check online reviews and feedback from real life customers before you make your purchase. Their shared experiences can also help you decide on what the best handheld vacuum cleaner is for you. Keep up with the latest articles and deals on the best handheld vacuums by subscribing to our RSS Feed. Myself and my team of researchers find out what the best handheld vacuum cleaners are so that you don't have to. We base our research on how well each product compares with its competition, how well it performs and real life user experiences.